Although Eurasians are ultimately all “out of Africa,” this rare autosomal allele mostly stayed on the African Continent until modern times when it spread with the forced odyssey of 15 million Africans destined to become slaves in the Western Hemisphere. One in 9 Hutus have it, whereas on the opposite end of the range it is found in only 1 in 3333 Greek Cypriots. It is practically absent in Central Asia, the Mediterranean, Middle East and Far East. 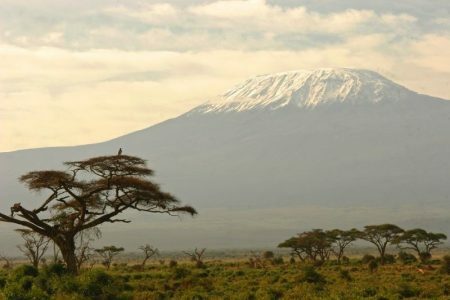 Kilimanjaro is the highest mountain in Africa and dominates the Great Rift Valley, the volcanic fault line believed to mark humanity’s earliest home. The Kilimanjaro gene has a frequency of about 6% in Africans (slightly less in African Americans). It has almost zero appearance in Central Asian or East European DNA. Worldwide, only 1 in 100 people have it—rare indeed! 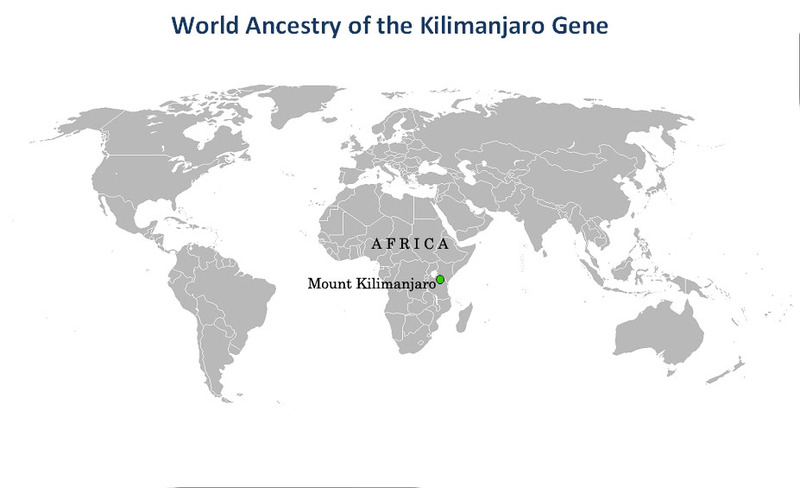 The very rare Kilimanjaro Gene stayed in African populations.